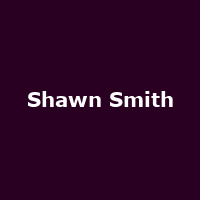 "Shawn Smith has been heralded as one of the best Rock Vocalists of all time. (Mojo Magazine). Described by Greg Dulli (Afghan Whigs, Twilight Singers) as 'Seattle's Best Kept Secret', Shawn has established himself as one of the most respected musicians from the pivotal music scene; the home of grunge and bands such as Pearl Jam and Mother Love Bone. His music has been heard around the world. with numerous tracks featuring prominently on hit TV shows such as Sopranos and ER. He is also highly sought after for collaborations - with the Lo Fidelity Allstars remix of 'Battleflag' becoming a hit record across continents."